VOB is a DVD-Video format. If you are trying to convert MP4 to VOB and to play with DVD player, or if you want to convert MP4 to VOB for the free DVD burning software to burn DVD discs, the recommended software in this article will be your best choice. 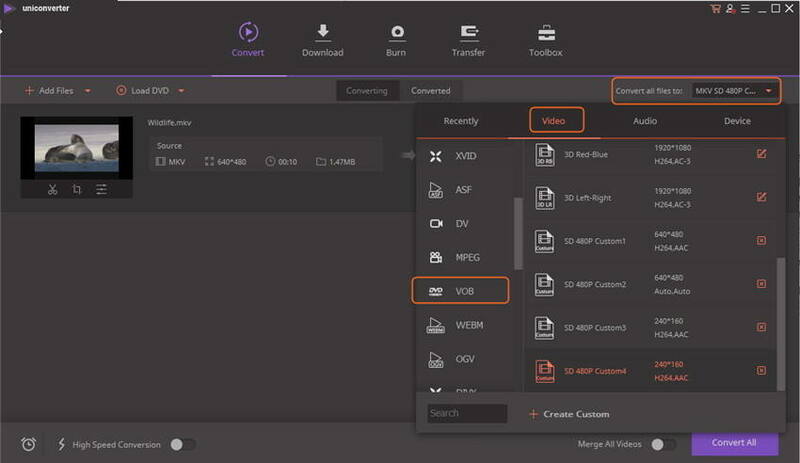 This part will show you how to convert MP4 to VOB files for editing or other reasons. The following guide will set Windows version as an example, and you'll be able to find out how powerful Wondershare UniConverter (originally Wondershare Video Converter Ultimate) is. Directly convert MP4 to VOB (DVD-Video ), AVI, MKV, MOV, and any other popular video formats. Step 1 Add MP4 video files to this MP4 to VOB converter. Go to the Convert tab and then click the Add Files button. After that, these MP4 videos will be added to the pane of this program. Or you can directly drag and drop the videos into the program. Step 2 Select VOB as the output format. In the drop down menu of Convert all files to, just select VOB format as the output format. To do it, you can hit the Video tab on the right side of interface, and then go to VOB option. Step 3 Convert MP4 to VOB. 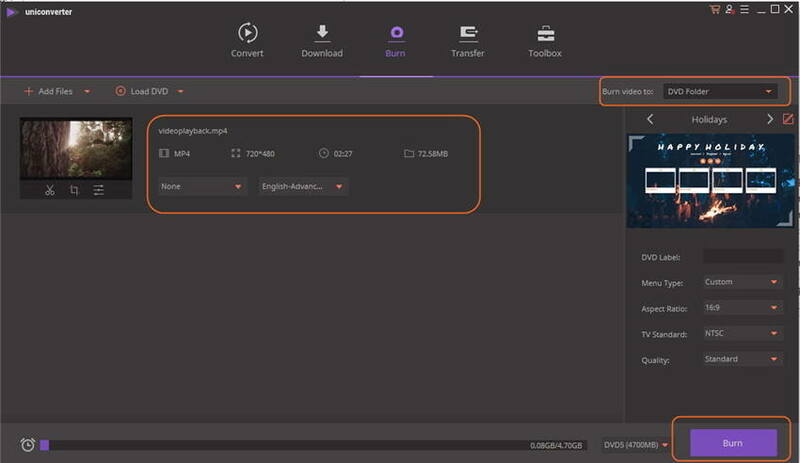 Click Convert on the right side of the main interface to start converting MP4 to VOB files. Within a short time, you can get a notice of successful conversion. You can click the Converted button in the middle of the main interface to locate the video in your computer. I will tell you how to burn or convert MP4 to DVD for Windows (Windows 10 included) below. If you want to know how to burn MP4 to DVD for Mac (mavericks included), just follow the same steps. Step 1 Import MP4 file to Wondershare DVD Burner. After downloading and installing this MP4 to DVD converter, just click the Burn tab on the top of the interface. And then you can directly drag and drop MP4 file into it. Or you can click the Add Files button to import the MP4 file. 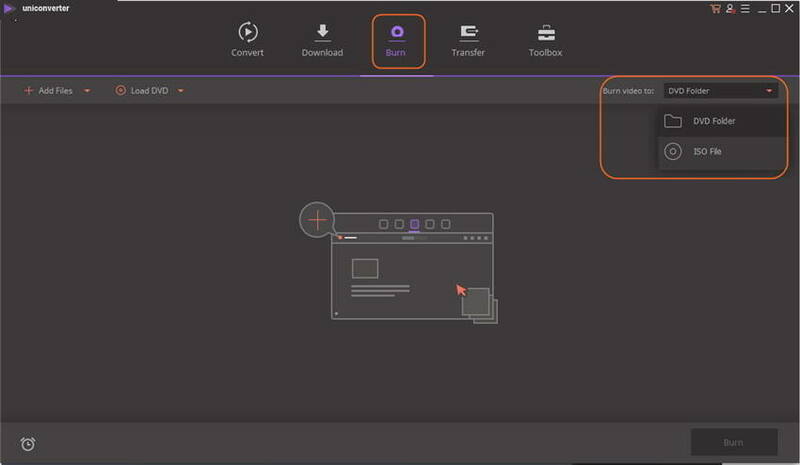 Step 2 Apply the built-in DVD menu templates (optional). You can make your DVD much more professional by adding some menu templates. Just click "Change Templates" button on the top right of the interface, and then select your favorite one. Note: This MP4 to DVD converter lets you burn MP4 to DVD disk, ISO files or DVD folder. You can just choose your desired format in the Burn to button. Step 3 Start to burn/convert MP4 to DVD. Here just click Burn button on the lower right of the interface. Finally you will get your MP4 burned to a DVD disk in few minutes. A complete FREE MP4 to VOB converter. Clean and powerful Freeware with simple and straightforward design. One click to download YouTube videos at fastest speed. 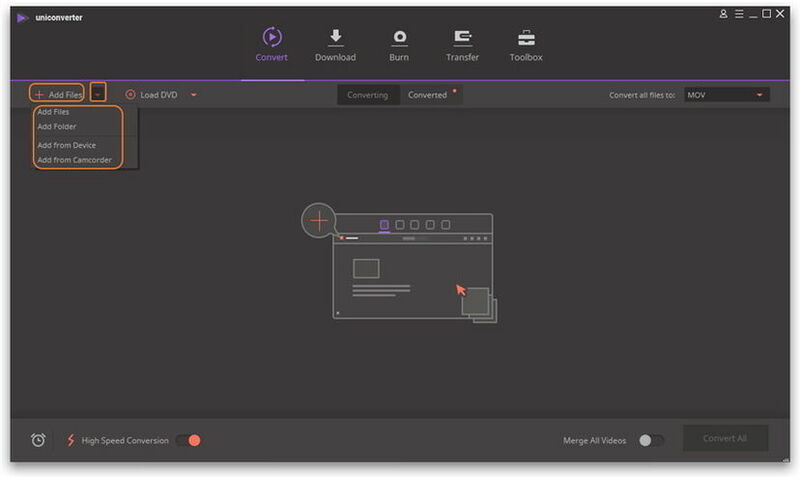 Perfect your MP4 video by trimming, cropping, adding effects, etc. Supported OS: Windows NT4/2000/2003/XP/Vista/7/8, Mac OS X 10.14 -10.6. 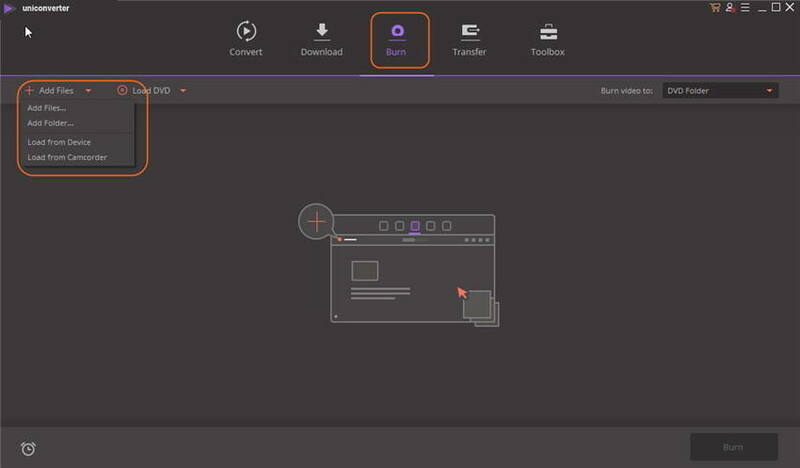 Note: The tutorial of Video Converter Free is similar to UniConverter (originally Wondershare Video Converter Ultimate), or you can click user guide to get more information. Download Videos Only download YouTube videos. Download YouTube, Dailymotion, Facebook videos, and other 10,000 sites. Convert Videos without any limits No, with watermark. It is common to convert MP4 to VOB with watermark like other free desktop converters. 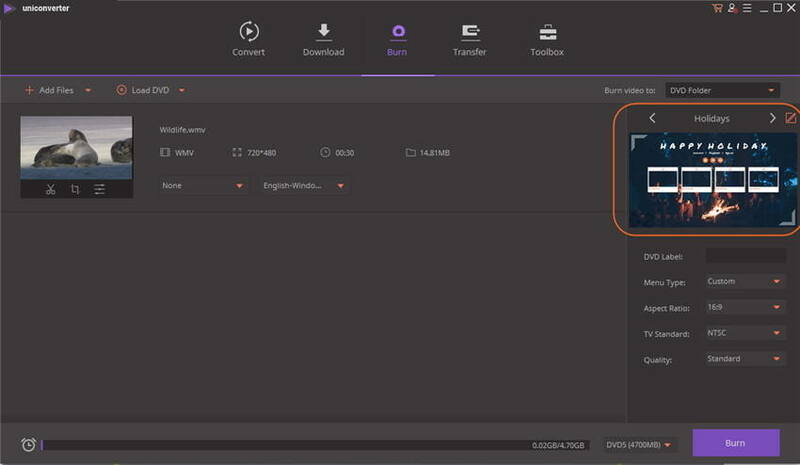 However, if your goal is changing MP4 to VOB, and watch the movie on a DVD player, just give UniConverter (originally Wondershare Video Converter Ultimate) a try.